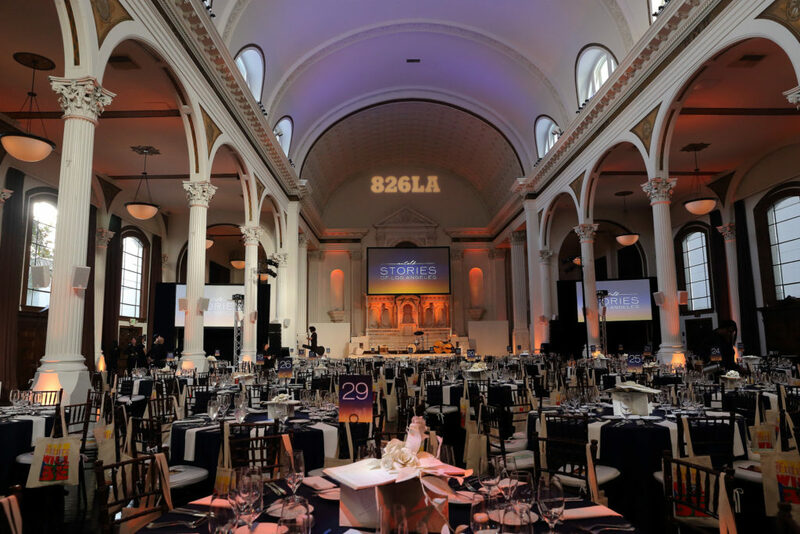 On June 6, 2018, 826LA hosted the fourth annual TELL ME A STORY event, Untold Stories of Los Angeles, at the stunning Vibiana in Downtown Los Angeles. The evening celebrated honest, heartwarming, hilarious tales about the City of Angels, including those written by students with the support of 826LA’s free programs. Thanks to the support of many, 826LA raised $600,000 to help fund the free writing programs and a brand new 826LA Writers’ Room in an LAUSD high school, which 826 co-founder and author Dave Eggers proudly announced was the most funds raised by any 826 chapter in the history of the organization. Learn more here. Creative direction, graphic design, event collateral by Rachel Mendelsohn.